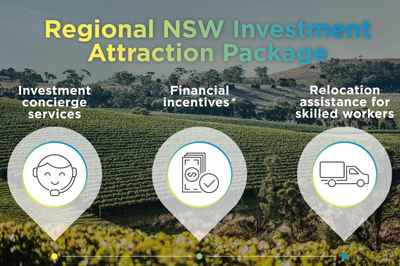 New South Wales (NSW) offers globally competitive salaries in a country that is consistently rated among the best in the world for its living standards. Salaries paid in Sydney, in particular, are competitive with those paid in other major Australian cities. The following table shows median salaries and the value of total salary packages for a range of roles across the state of NSW. Source: Australian Institute of Management (AIM) National Salary Survey, 2013. Applies to large companies. All amounts are averages over at least 50 cases, except Project Manager/Leader (IT), Internet Specialist/Web Developer, Professional Engineer, Manufacturing/Production Manager and General Foreperson. Data were collected from organisations with annual turnover greater than $10 million. Also includes the Australian Capital Territory. Total salary plus non-salary items, including superannuation, car package value, vehicle allowance, mobile phone, laptop, low interest loans and other benefits applicable to the position; excludes performance pay.